Sydney Taylor Award-winning novel Berlin Boxing Club is loosely inspired by the true story of boxer Max Schmeling's experiences following Kristallnacht. Karl Stern has never thought of himself as a Jew. But the bullies at his school in Nazi-era Berlin, don't care that Karl has never been in a synagogue or that his family doesn't practice religion. Demoralized by attacks on a heritage he doesn't accept as his own, Karl longs to prove his worth. So when Max Schmeling, champion boxer and German national hero, makes a deal with Karl's father to give Karl boxing lessons, A skilled cartoonist, Karl has never had an interest in boxing, but now it seems like the perfect chance to reinvent himself. But when Nazi violence against Jews escalates, Karl must take on a new role: protector of his family. And as Max's fame forces him to associate with Hitler and other Nazi elites, Karl begins to wonder where his hero's sympathies truly lie. Can Karl balance his dream of boxing greatness with his obligation to keep his family out of harm's way? t’s just a small story really, about among other things: a girl, some words, an accordionist, some fanatical Germans, a Jewish fist-fighter, and quite a lot of thievery. . . . 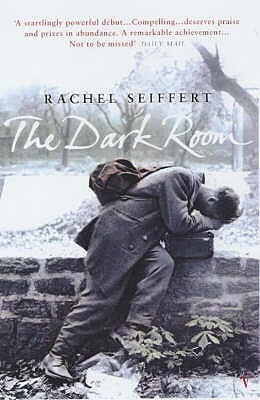 The Dark Room tells the stories of three ordinary Germans: Helmut, a young photographer in Berlin in the 1930s who uses his craft to express his patriotic fervour; Lore, a twelve-year-old girl who in 1945 guides her young siblings across a devastated Germany after her Nazi parents are seized by the Allies; and, fifty years later, Micha, a young teacher obsessed with what his loving grandfather did in the war, struggling to deal with the past of his family and his country. You should never hope for a miracle, for then you might count on it really happening. In the two years Halinka has spent in a home for girls, she has learned not to hope for anything, and to hold tightly to what she has. But all Halinka has is herself, a blanket from her beloved Aunt Lou, and a secret notebook where she holds her sayings. 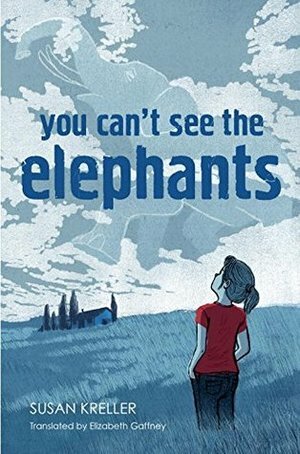 Just as she is losing hope of ever finding a home, and forgetting all she once loved, Halinka sees something that reminds her that everyone needs some beauty in their lives, like they need air, or food . . . and maybe a friend. But for that, Halinka would have to share her thoughts, secrets, and maybe even her memories. And she's not sure if she can afford to lose that much. Siena Bernstein is leaving her yoga mat behind for a semester of study abroad in Munich. She’s thrilled with the prospect of a German adventure (her horoscope is encouraging as well), but she hopes to make more than just her dreams come true while she’s there. Siena’s dad, who passed away when she was a baby, kept a "Carpe Diem" list—sort of his top-ten adventurous things to do. He completed all but one of the tasks—going to Germany to thank the man who helped smuggle his family past the Berlin Wall. Amidst her adventures in biergartens, Alpine skiing, and a rigorous course load, Siena is on a quest to complete her father’s list. But she’s also set on having the best possible time while she tries. With the help of two new best buds and a handsome RA in her dorm, she’ll surely succeed. One brave girl takes an extreme step to protect two abused children. When thirteen-year-old Mascha is sent to her grandparents' for the summer, she spends her days bored and lonely at a nearby playground. There she meets Julia and Max, two young siblings who are incredibly shy and withdrawn. Mascha soon begins to suspect that they are being physically abused by their father, a prominent member of their small community. She tells her grandparents and the authorities, but they all refuse to believe her. Mascha can’t let the abuse go on, so she takes matters into her own hands. Already an international award winner, this beautifully written novel is a haunting and timely tale. Fairy tales are often the cruelest stories of all; in this exquisite novel Sally Gardner writes about great love and great loss.